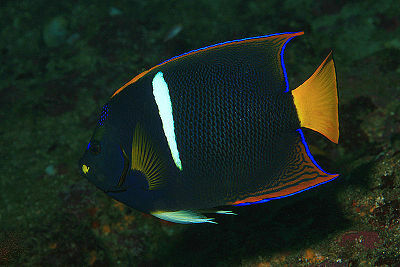 The Passer (King) Angelfish is a moderately difficult fish to keep. One of the interesting characteristics of this fish is that it looks totally different as a juvenile from its adult appearance. Another interesting fact is that in the wild this fish acts as a cleaner fish, eating external parasites, from hammerhead sharks. 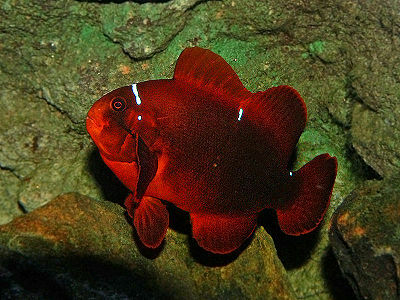 It is found in the Eastern Pacific, Gulf of California south to the northern coast of South America. Males and females are both 14 in. Most fish are not aggressive towards the passer. A passer will be aggressive toward other passers, so it is best to keep only one in an aquarium. The minimum size tank is 145 gal. This fish survives on sponges, so it needs an angel formula which contains sponge. It should be fed small amounts several times a day.